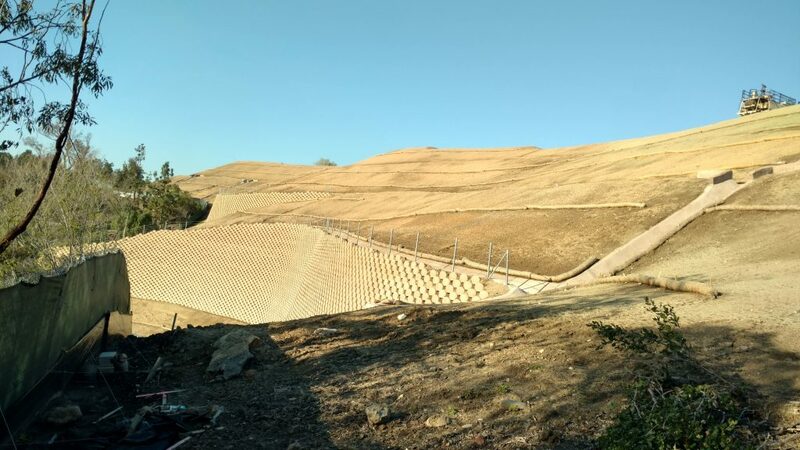 Multiple fully plantable Verdura® Retaining Walls were installed during the fall of 2016 at Marywood Hills by Soil Retention Systems, Inc. The re-development plan for a 16-acre site into a 40 residential lot project with spectacular panoramic views included multiple Verdura® Walls within a challenging grading geometry. 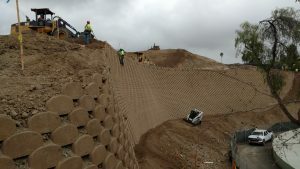 The construction of 21,000 sf of wall with heights ranging from 20 to 42 feet and geogrid lengths extended up to 85 feet to remedy global stability issues were completed in concurrence with the site grading. 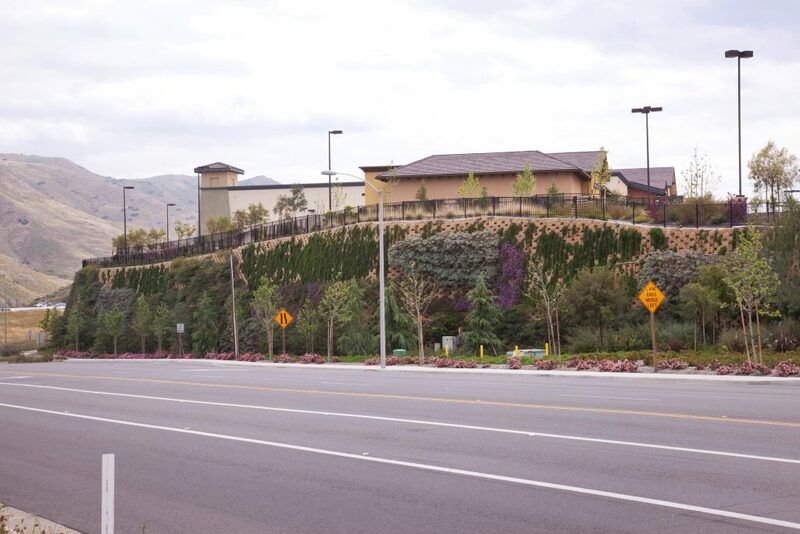 The Verdura® Retaining Walls’ design and construction were integral to the site stability, grading balance and logistics. 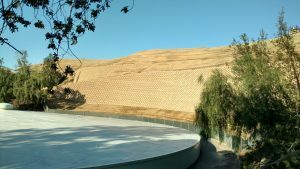 Civil design used walls to gain developable land while addressing both site balance and drainage considerations within a relatively tight footprint with vertical reliefs of approximately 150 feet. 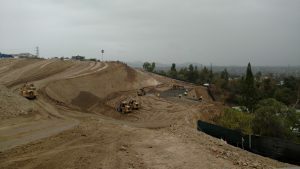 Deep removals of unsuitable materials of up to 75 feet within the middle of the site required keen geotechnical analysis and expert grading logistics for timely site delivery. 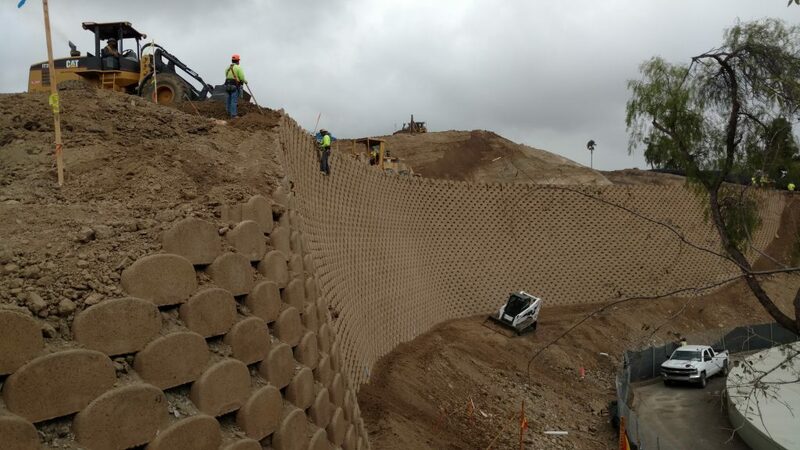 Wall construction required handling of select and onsite backfill, sizeable drainage features through the walls, nimble staging within an evolving site, navigation of large reliefs, and numerous other nuances that are part of the trade. Thank you to The New Home Company for assembling a great team to deliver this incredible project; consisting of Earth Construction and Mining (grading), Hunsaker & Associates (civil engineering) and LGC Geotechnical (soils engineering). 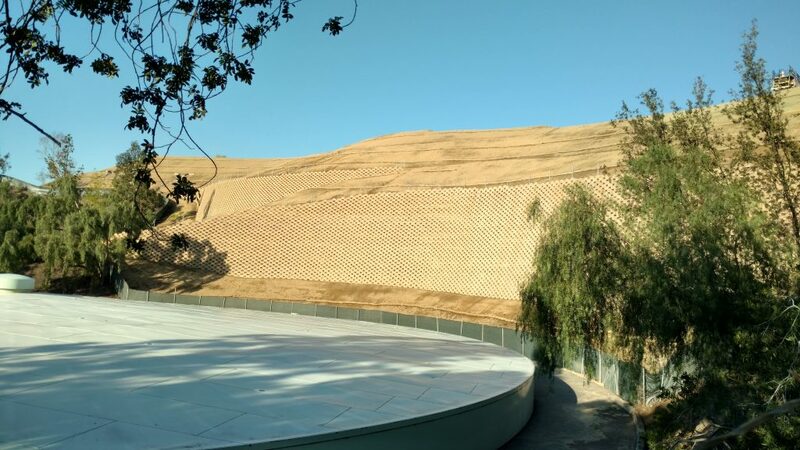 Soil Retention is proud to have been a part of this team! 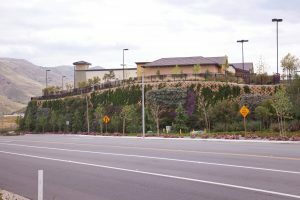 Skyridge and Vila Borba developments by CalAtlantic.